Fireworks! Those sparkly, glowing bursts in the sky, and one of the best parts of summer! This simple craft allows even young kids to create their own glowing fireworks! 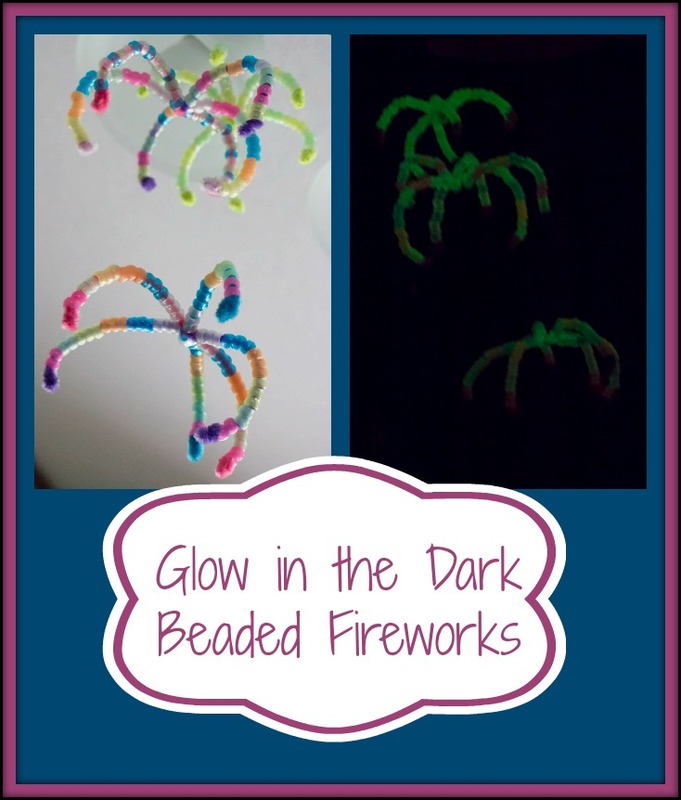 Make your own glowing fireworks with glow in the dark pony beads (ours were kindly provided by CraftProjectIdeas.com), pipe cleaners, and fishing line. Find out how at Enchanted Homeschooling Mom! Another fun firework craft: Puffy Painting Fireworks!